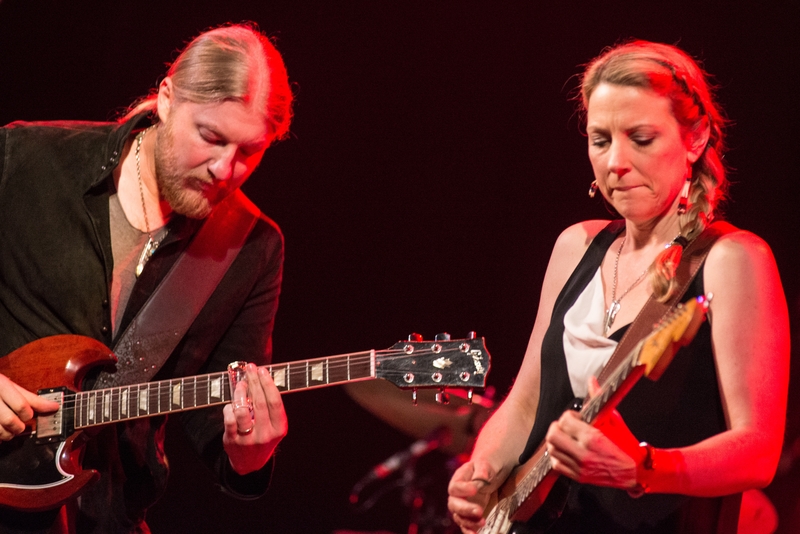 On Tuesday, February 21, Susan Tedeschi and Derek Trucks will perform at the White House as part of a celebration of blues music, along with Mick Jagger, B.B. King, Buddy Guy, Jeff Beck, Warren Haynes, and many more. Visit www.whitehouse.gov/live starting at 7:20 PM ET for a live stream of the entire event. Then, on Monday, February 27 at 9 PM ET tune in for "In Performance at the White House: Red White and Blues," which will be televised on PBS stations nationwide. Here's the full list of performers: Troy “Trombone Shorty” Andrews, Jeff Beck, Gary Clark, Jr., Shemekia Copeland, Buddy Guy, Warren Haynes, Mick Jagger, B.B. King, Keb Mo, Susan Tedeschi and Derek Trucks, with Taraji P. Henson as the program host and Booker T. Jones as music director and band leader.